I received this special e-mail from Charlotte Vann Casselberry Dew this week. Here is the story of her wedding alongside the photos she included. 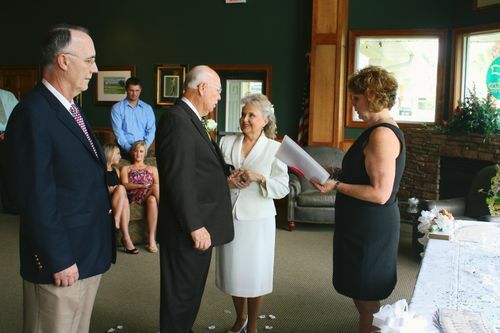 "Well, as you have heard from my bestest friend, Gladys, I married my dear sweet friend and love, Earnest Dew on Labor Day, Sept. 7, 2009.